Summer heat in the Springfield area puts your system to the test. But, When temperatures rise, your air conditioning system should be at its best. That’s why CJS Heating & Air recommends annual heating and air conditioning service. There’s no reason why you should break a sweat worrying how your air conditioning system will perform. 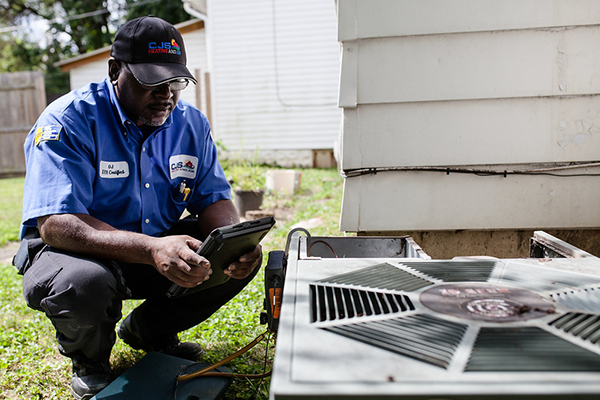 CJS offers same day air conditioning repairs so you get fast relief when the unthinkable happens. You call. We come. It’s fixed. Because, nothing means more to our clean, screened, trained and timely CJS technicians than your total satisfaction—no matter when you call us. We arrive on time, get right to work because we know how you value keeping your family comofortable. We’ve experienced more than a few hot summer nights and know how uncomfortable they can be. That’s why CJS Heating & Air provides Springfield air conditioning repair services anytime you need them—24 hours a day. We charge the same rate. Day or night. Weekday or weekend. You don’t pick when problems happen. So, why should you have to pay extra when they do? When we say we’ll do a good job, we mean it. We put it in writing. We guarantee it. We’re not finished till you’re satisfied. Maybe that’s why so many of your neighbors give CJS technicians five star local reviews for their air conditioning repair service. It’s another example of how everything we do is all about you.